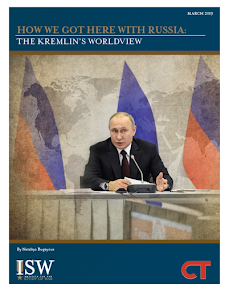 Key Takeaway: The Kremlin is creating and exploiting opportunities to advance its campaigns aimed at countering the West in multiple theaters including Ukraine, Belarus, and Syria. Russia will continue to use multiple approaches to weaken pro-Western Ukrainian President Poroshenko ahead of the Ukrainian Presidential Elections on March 31, 2019. Russia will similarly continue to pressure Belarusian President Alexander Lukashenko to sign bilateral agreements that expand the Kremlin’s control over Belarus. Russia will also seek to expedite the announced withdrawal of the U.S. from Syria as part of its wider campaign to undermine and replace the U.S. in the Middle East and North Africa. Russia is attempting to weaken Ukrainian President Poroshenko ahead of the 2019 Ukrainian Presidential Elections. Russia is using multiple instruments of power including military pressure to threaten Ukraine as it approaches a key political milestone that could enable further integration with the West. The Kremlin may have intended to use the threat of a military escalation to coerce Ukrainian President Petro Poroshenko to implement an extension of martial law that would jeopardize his domestic support and weaken his position ahead of Ukrainian Presidential Elections on March 31, 2019. Poroshenko did not take this bait and allowed martial law to expire on December 26, 2018. The Kremlin will thus likely adapt its approach to create instability in Ukraine. These efforts could include a mixture of military and non-military provocations, ranging from increased cyber-attacks and covert sabotage to a direct military escalation. Russia took one such move with the announced completion of a border fence on the occupied Crimean Peninsula on December 28, 2018. Russia claimed that the fence aims to defend against saboteurs from Ukraine. It could serve other purposes, however. Russia may use its need to secure the fence to justify increased military assets along the southern border of Ukraine – raising costs to the Ukrainian Armed Forces and positioning itself for an unlikely but dangerous option to seize additional terrain in Kherson Oblast in Southern Ukraine. 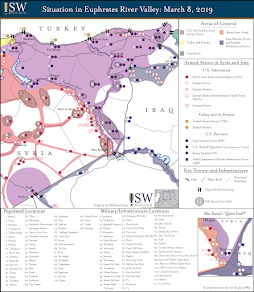 The Institute for the Study of War (ISW) has not yet detected clear evidence of such activities. The Kremlin may also attempt to disrupt internal stability in Ukraine in order to create security concerns that undermine the Government of Ukraine. Multiple actors have conducted small-scale attacks using grenades across Ukraine since late December 2018. The Ukrainian Security Services (SBU) arrested an individual reportedly planning to conduct a terrorist attack in Mariupol in Southern Ukraine on January 10, 2019. The individual allegedly held ties to the Russian Federal Security Service (FSB). Regardless of attribution, this violence generates problems for Poroshenko that will be exploited by the Kremlin. Russia is using soft power to strengthen its influence over Belarus. Russian President Vladimir Putin and Belarusian President Alexander Lukashenko announced the creation of an intergovernmental working group in late December 2018 tasked with developing bilateral proposals under the framework of the 1999 Russia-Belarus Union Treaty. The Union Treaty envisions a federation-type state with a common military and political structure that will ensure the long-term allegiance of Belarus to Russia. Putin likely leveraged the dominant position of his energy sector to extract this political concession from Lukashenko as previously assessed by ISW in August 2018. Russia is gradually implementing an energy tax reform that will significantly raise the price of its petroleum products for consumers in Belarus. Lukashenko has adamantly asserted that Belarus will remain a sovereign state amid the negotiations with Putin. This rhetoric is likely disingenuous and targeted toward preempting domestic backlash against Lukashenko. Russia will continue to use its economic and political instruments of power to preserve and expand its perceived sphere of influence over Belarus. Russia will capitalize on the announced withdrawal of the U.S. from Syria to expand its political and military influence in Syria and the wider Middle East. The Kremlin will attempt to expand its role as a mediator in the Syrian Civil War in order to gain critical natural resources and undermine the position of the U.S. in the Middle East. Russia is actively brokering negotiations between Syrian President Bashar al-Assad and the majority-Kurdish Syrian Democratic Forces (SDF) - the primary ground partner of the U.S. Anti-ISIS Coalition in Syria. Russia will nonetheless seek to balance these talks against its ongoing effort to coopt Turkey as a strategic partner and wedge in NATO. Russia hosted a delegation from the SDF in Moscow in late December 2018. The Kremlin likely offered token support to deter an offensive by Turkey against the SDF in Northern Syria. Russian Military Police began conducting joint patrols with the SDF near the contested town of Manbij near the Syrian-Turkish Border on January 10, 2019. Russia nonetheless likely intends only to deter further territorial gains by Turkey in Syria rather than meaningfully defend the SDF. The Kremlin also seeks access to critical oil infrastructure held by the SDF in Eastern Syria that could serve as a source of revenue as well as a base to contest the freedom of maneuver of the U.S. along the Syrian-Iraqi Border. Russian Foreign Minister Sergey Lavrov stressed that Russia ultimately expects Eastern Syria to return to the control of Assad on January 16, 2019. The Kremlin will likely use a combination of military pressure and political incentives to compel the SDF to capitulate to such a deal with Assad. Russia will likely accelerate these efforts if it perceives any delay in the announced withdrawal of the U.S. from Syria. “Poroshenko Ends Martial Law in Ukraine as Tensions with Russia Continue,” Radio Free Europe / Radio Liberty, December 26, 2018, https://www.rferl.org/a/ukraine-ends-martial-law/29677677.html. “Russia Builds Border Fence Between Crimea and Ukraine Proper,” Al Jazeera, December 28, 2019, www.aljazeera.com/news/2018/12/russia-builds-border-fence-crimea-ukraine-proper-181228145700919.html. https://zp.npu.gov(. )ua/news/novini/u-zaporizhzhi-policzejski-viluchili-blizko-280-gramiv-marixuani-zbroyu-ta-granatu; Nova Gorlivka, [“An Explosion on the Bridge in Proletraskiy District,”] Twitter, January 2, 2019, https://twitter.com/NovaGorlivka/status/1080413215744581632. [“SBU Prevented a Terrorist Act in Mariupol,”] Mariupol Municipality, January 10, 2019, https://www.0629.com(.)ua/news/2269562/v-mariupole-sbu-predotvratila-terakt-foto. “Meeting With President of Belarus Alexander Lukashenko”, Kremlin, December 29, 2018, http://en.kremlin(.)ru/events/president/news/59618. [“Union Treaty Agreement,”] Information Portal of the Union State Treaty, January 16, 2019, http://www.soyuz(.)by/about/docs/dogovor5. [“Speech and Answers to Media Questions by Russian Minister of Foreign Affairs Sergey Lavrov During a Press Conference Following Russian Diplomacy Activities in 2018,”] Russian Ministry of Foreign Affairs, January 16, 2019, www.mid(.)ru/ru/foreign_policy/news/-/asset_publisher/cKNonkJE02Bw/content/id/3476729. [“Belarus Might Not Get Compensation for Russian Tax Maneuver,”] Vedomosti, December 14, 2018, https://www.vedomosti(.)ru/business/articles/2018/12/14/789370-belorussiya-mozhet-ne-poluchit-kompensatsiyu. “Lukashenko: Sovereignty is a Sacred Thing for Belarus,” Belarus News Agency, December 14, 2018, https://eng.belta(.)by/president/view/lukashenko-sovereignty-is-a-sacred-thing-for-belarus-117354-2018. Elise Labott, “Bolton Leaves Turkey on Sour Note Over Trump’s Syria Plans,” Politico, January 8, 2019, www.politico.com/story/2019/01/08/bolton-turkey-trump-syria-plans-1088715; Matthew Bodner and Zeynep Bilginsoy, “Russian And Turkish Ministers Meet for Syria Talks,” Washington Post, December 29, 2019, www.washingtonpost.com/world/middle_east/russian-and-turkish-ministers-meet-for-syria-talks/2018/12/29/51ef3a30-0b6d-11e9-8942-0ef442e59094_story.html; “Russia to Mediate New Talks Between Syrian Kurds, Damascus: Official,” Rudaw, January 1, 2019, http://www.rudaw.net/english/middleeast/syria/010120191. “Syria: Russia Military Police Begin Patrols Around Manbij”, Defense Post, January 8, 2019, https://thedefensepost.com/2019/01/08/syria-russia-military-police-manbij-patrols.